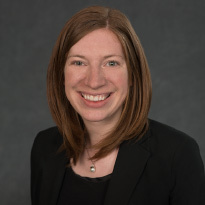 Emily serves as the Vice President of External Relations at the Illinois Policy Institute. She is responsible for building and strengthening the Institute’s relationships with its investors. Prior to joining the Illinois Policy Institute, Emily led the development team at the Bill of Rights Institute, an organization dedicated to educating young Americans about the Constitution. While there, she also oversaw several initiatives, including the creation of a full-length digital civics and economics textbook. She also worked at the U.S. Department of Labor and on Capitol Hill. Emily graduated from Bethel College in Indiana with degrees in Economics and Business Administration.